WILLIAM S. HART UNION HIGH SCHOOL DISTRICT. Carla L. Garrett, Administrative Law Judge (ALJ), from the Office of Administrative Hearings (OAH), heard this matter on February 12, 2013, in Santa Clarita, California. Deborah L. Pepaj, Attorney at Law, represented Student, with the assistance of Hamlet Yarijanian, her law clerk. Student’s mother (Mother) attended the hearing. Daniel Gonzalez, Attorney at Law, represented the William S. Hart Union High School District (District). District representative, Sharon Amrhein, Director of Special Education, attended the hearing. Student filed her request for due process hearing (complaint) on December 19, 2012. On February 12, 2013, at the close of the hearing, the parties were granted a continuance to file written closing arguments by the close of business on February 28, 2013. While both parties filed their closing briefs on February 28, 2013, Student failed to file his by the close of business, and, therefore, his closing brief was not considered. The record was closed on February 28, 2013, and the matter was submitted. Did District deny Student a free appropriate public education (FAPE) by failing to fund an independent education evaluation (IEE) within a reasonable time after Parent’s request? 1. Student is a 15 year-old boy, who, at all relevant times, resided within the boundaries of the District. Student is eligible for special education under the primary eligibility category of other health impairment (OHI) as a result of Attention Deficit Hyperactivity Disorder (ADHD), and the secondary eligibility category of specific learning disability (SLD). Student currently attends Valencia High School. 2. On June 1, 2011, June 7, 2011, and September 2, 2011, at the end of Student’s seventh grade year and at the beginning of his eighth grade year, District psychologist, Jennifer L. Betty, conducted a psychoeducational assessment of Student for his triennial evaluation, and prepared a report in September 2011. Ms. Betty, who testified at hearing, received her bachelor’s degree in sociology from the College of Charleston in South Carolina in 1994, and her masters’ degree in counseling and guidance from Clemson University in South Carolina in 1998. She received her pupil personnel services credential in 2003, and has been a licensed educational psychologist since 2008. She is a certified behavioral intervention case manager, where she is qualified to analyze and interpret the behavior of students as it relates to academics, and is trained to draft behavior support plans, and work with children diagnosed with ADHD. Ms. Betty has been employed with District as a school psychologist since 2003. Her duties include evaluating and assessing students for special education eligibility, attending individualized education program (IEP) meetings, providing counseling services to students, and consulting with staff. She has conducted approximately 850 assessments during her employ with District. 3. Ms. Betty’s assessment included a review of Student’s school records and his health and developmental history from a report generated by the Department of Mental Health. In addition, Ms. Betty interviewed Student, two of Student’s seventh grade teachers, four of his eighth grade teachers, and conducted behavioral observations of Student in his seventh grade history classroom, as well as in his eighth grade science, English, history, and algebra classrooms. 4. Ms. Betty used the following assessment tools: (1) the Cognitive Assessment System (CAS); (2) the revised version of the Developmental Neuropsychological Assessment (NEPSY II); (3) the Woodcock-Johnson Tests of Academic Achievement (Third Edition) (WJ-III), administered by resource specialist, Elizabeth Meddaugh; (4) the parent form of the Behavior Assessment System for Children (Second Edition) (BASC-2); (5) the teacher form of the BASC-2; (6) the Conners 3 Self-Report Form; (7) the Conners 3Teacher Form; (8) Projective Drawings; and (9) the Reynolds Adolescent Depression Scale – Second Edition (RADS-2). Ms. Betty followed the publisher’s instructions on all of the tests she administered, and did so in Student’s native language. In addition, the tests were free of racial, cultural, or sexual discrimination. 5. The results of the CAS indicated Student’s planning processing was within the low range, his simultaneous processing in the high average range, and his successive processing in the average range. Student’s attention processing was well below average. The overall impression of the NEPSY-II indicated that Student had adequate visual-spatial processing skills, planning skills, organizational skills, and initiation skills. Language processing skills, and overall memory and learning, were within the average range. However, he demonstrated diminished or slow responding, poor working memory skills, poor vigilance, and poor self-monitoring. Socially and emotionally, Student experienced significant difficulty managing behaviors associated with ADHD, such as impulsivity, attention and concentration difficulties, and executive functioning tasks. 6. Ms. Meddaugh, who administered the WJ-III, testified at hearing. Ms. Meddaugh earned her bachelor’s degree in elementary education from State University of New York at Cortland in 1999, and holds an elementary teaching credential, as well as an educational specialist credential. Ms. Meddaugh has been employed with District as a resource specialist and a special day class teacher for eight years, and has been the chair of District’s special education department for five years. She administers approximately 20 to 25 WJ-III assessments per year, and does so according to the test publisher’s instructions. Student’s WJ-III assessment results of academic achievement showed that Student’s oral language and listening comprehension skills were within the high average range, his oral expression skills, broad reading skills, broad math skills were in the average range, and his broad written language skills were within the low average range. His basic reading skills were within the high average range, his reading comprehension and math calculations skills were in the average range, and his written expression skills were in the low average range. Ms. Betty incorporated Ms. Meddaugh’s WJ-III assessment results in the psychoeducational assessment report. 7. Ms. Betty concluded that Student still met the eligibility requirements for OHI and SLD. She recommended that teachers should present information to Student in various modes (i.e., auditory, visual, and kinesthetic modes), give him additional time to complete assignments, a structured time and place to complete homework, teach him how to organize ideas and tasks in steps as a strategy for completing tasks, break long assignments into chunks, and give him praise and redirection when appropriate. 8. On September 7, 2011, the IEP team convened to review the results of Student’s triennial assessment. The attendees included Mother, Ms. Betty, the assistant principal, a general education teacher, the resource specialist, and an administrative designee. Ms. Betty presented her psychoeducational assessment report, and the team developed a behavior support plan (BSP). District offered Student resource support, counseling services at school, and continued counseling through the Department of Mental Health. 9. On October 25, 2012, the team convened for a manifestation IEP meeting resulting from a disciplinary issue that occurred on October 17, 2012. Specifically, District suspended Student for five days for purportedly engaging in acts of sexual harassment. The attendees included Mother, Student’s attorney, Ms. Pepaj, and Ms. Pepaj’s law clerk, Mr. Yarijanian, two District administrators, a general education teacher, a District behaviorist, a resource specialist, and a school psychologist. The team concluded that Student required no further disciplinary action, but would review the BSP and modify it accordingly. 10. At this meeting, Mother, through Ms. Pepaj and Mr. Yarijanian, expressed disagreement with District’s September 2011 psychoeducational assessment, and requested an IEE. Mother’s disagreement and request were documented in the notes of the October 25, 2012 IEP. District team members offered to conduct a new District psychoeducational assessment instead, to which Mother declined. A District administrator who attended the IEP meeting, Jamie Timmins, advised Mother at the meeting that District would not agree to fund an IEE. 11. Thereafter, there were no further discussions between District and Parents to negotiate or otherwise resolve the IEE issue. 12. Parents did not fund a private psychoeducational assessment. 13. On December 19, 2012, Student filed a due process complaint in this matter. 1. Student contends that District denied him a FAPE when it failed, without unnecessary delay, to either fund an IEE, or file a due process complaint to prove that District’s September 2011 was appropriate. District disagrees, and contends that it provided Student with a FAPE, because its September 2011 psychoeducational assessment was appropriate and properly conducted, and, therefore, an IEE was not warranted. 1 All subsequent references to the Code of Federal Regulations are to the 2006 edition. Ensure that an independent educational assessment is provided at public expense, unless the agency demonstrates in a hearing pursuant to §§ 300.507 through 300.513 that the assessment obtained by the parent did not meet agency criteria. 13. Notwithstanding this, District contends that it provided Student with a FAPE, because its September 2011 assessment was appropriate and properly conducted, and, therefore, an IEE was not warranted. Specifically, District argues that because the September 2011 assessment was conducted by qualified school personnel who used readily accepted special education eligibility assessments and protocols, and because the tests were administered in Student’s native language, and were free of racial, cultural, or sexual discrimination, the assessment was valid and reliable, and complied with IDEA requirements. As a result of this assessment, District contends the IEP team developed an appropriate program for Student at the September 7, 2011 IEP meeting, and, therefore, District did not deny Student a FAPE. However, as set forth in Legal Conclusion 8, the plain language of the statute is clear, and provides that when a parent requests an IEE, a District must either file a due process complaint to show that its assessment was appropriate, or ensure an IEE is provided at public expense. The statute is unambiguous, and does not excuse a district from its statutory obligation to file a due process complaint simply because it believes its assessment was appropriate. 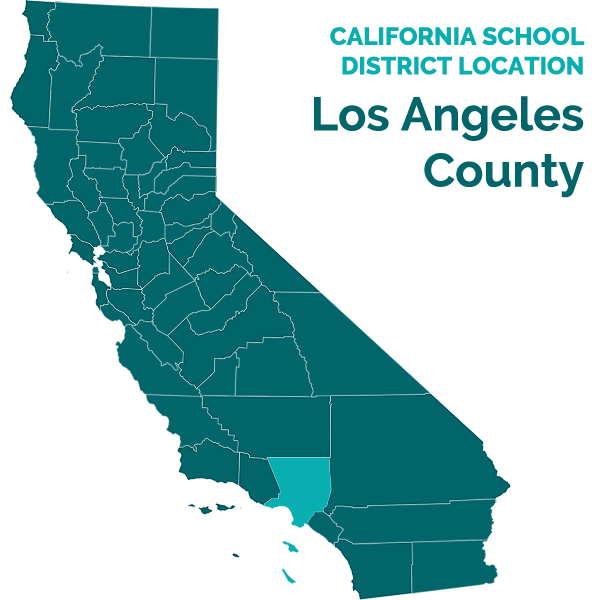 District was mandated to file its own request for due process hearing if it did not wish to fund a requested IEE on the ground that its own assessment was adequate. While District contends this statute only applies in instances where a parent has already funded an independent assessment, the plain language of the statute does not support this position, and District cited no case authority demonstrating that it does. Rather, the regulation provides that should a parent obtain a private assessment, the school district should ensure the payment of the private assessment, unless the district can demonstrate at a hearing that the private assessment failed to meet agency criteria. Given these factors, District’s argument is rejected. 14. District further argues that Mother’s disagreement with the September 2011 psychoeducational assessment was untimely, as her October 25, 2012 request came more than a year after the assessment. As such, District contends it was entitled to reassess Student at the time of the request, instead of funding an IEE. But this argument is more appropriate for a due process hearing initiated by District to defend its reasons for not funding an IEE, and not as an excuse for doing nothing at all. Furthermore, the statute sets forth no timeframe in which a parent must disagree with a District assessment. Indeed, a parent could conceivably learn revelatory information about a district assessment at a later time that prompts questions as to the validity or the appropriateness of the district assessment. Clearly, should that occur, a parent should not be precluded from expressing disagreement with that assessment simply because there has been some passage of time since the assessment. Finally, assessments are not mandated every year, but instead, the IDEA requires that assessments not be more than three years apart, demonstrating that some assessments may be used for more than one school year. As such, District’s argument must fail. 1. Student is entitled to a psychoeducational IEE at public expense. 2. District shall immediately provide Student with District’s criteria for assessors and immediately arrange for payment to the assessor of Student’s choice, such that a psychoeducational IEE at public expense shall be provided to Student. An IEP team meeting shall be held to discuss the results of the psychoeducational IEE within 75 days of this decision, unless the parties agree to extend the time period. Pursuant to California Education Code section 56507, subdivision (d), the hearing decision must indicate the extent to which each party has prevailed on each issue heard and decided. Here, Student prevailed on the sole issue heard and decided in this matter.